Spread the cost from only £96.56 a month with Interest Free Credit. 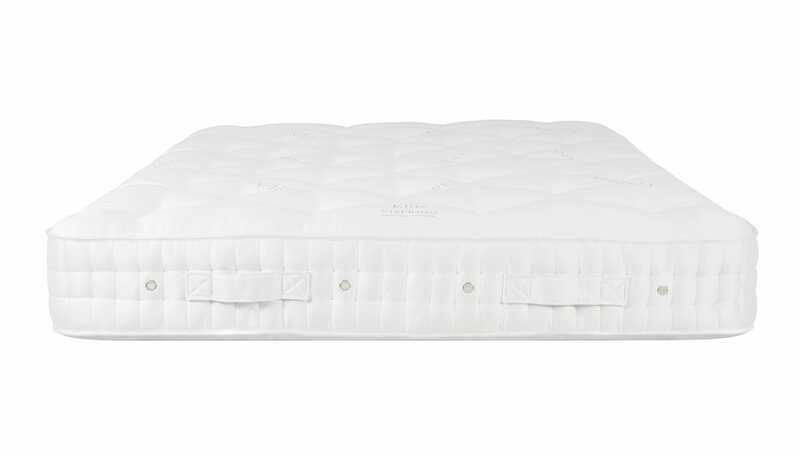 Finely tuned to mould around your body shape, each Vi-Spring mattress is a one of a kind. 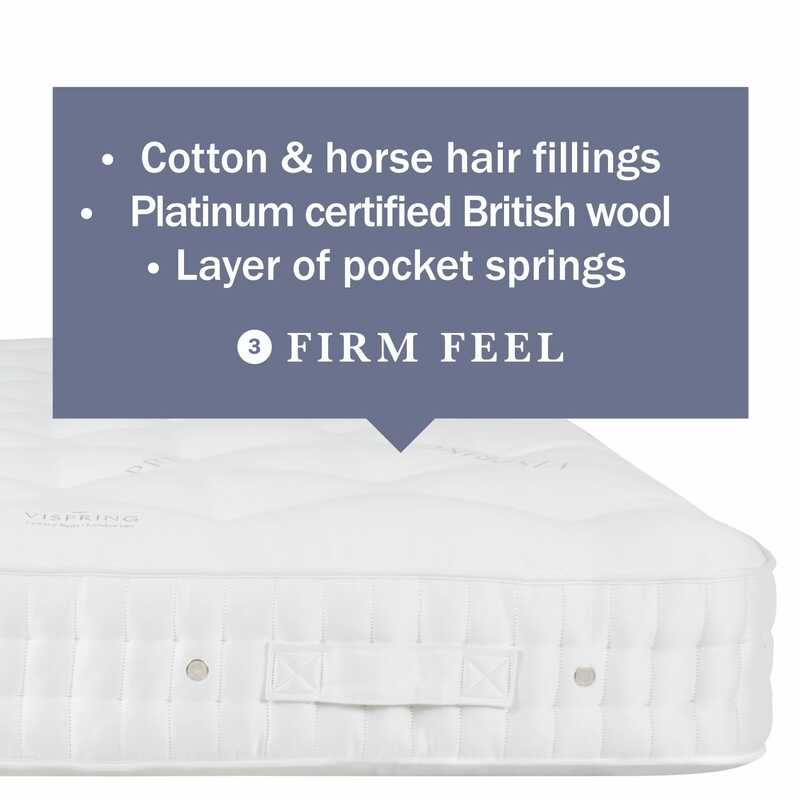 Developed to provide a luxurious sleep on any size or shape of bedstead, the Supreme Bedframe mattress is individually crafted to order using platinum certified British fleeces and thousands of pocket springs. Mattress Springs - 1,476 luxury pocket springs in 5’0 (150cm), 1.42mm Vanadium steel springs, 51mm in diameter, individual sewn calico pockets, hand formed into a honeycomb nested unit. Mattress Upholstery - Upholstered with a wool spring protector pad, then 1000gsm bonded British fleece wool and cotton, plus 1200gsm long-stranded horsehair, enclosed in a hair-proof cambric cover and finally overlaid with 1200gsm blended British fleece wool and cotton, hand tufted with felt washers, covered with satin ivory Belgian ticking.